Inwood is a wood of 58 hectares of ancient woodland designated as a Site of Special Scientific Interest (SSSI) in 1988. 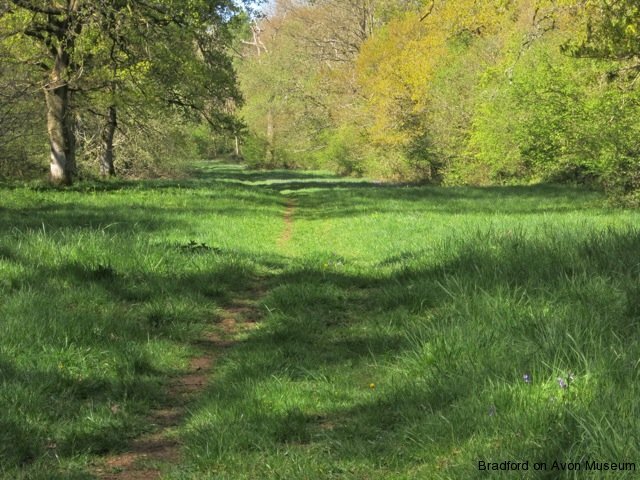 It is situated in the south west of Monkton Farleigh parish on the flat plateau above the Avon valley and borders Warleigh Woods in the neighbouring parish of Bathford in Somerset. The SSSI includes a couple of detached smaller woods called Sweeps Coppice and Challenge’s Grove. A large area of new plantation on the northern side of Inwood by conservationalist and ex-Queen guitarist Dr Brian May began in 2018. Inwood is on thin stony calcareous soil and is dominated by oak, ash, beech and hazel, with a little holly a few scots pines. The woodland is quite dense, with a major glade called The Ride and smaller openings along tracks. It shows signs of having been managed as a crop at some time in the past, but any recent coppicing has been minor. The wood covers an intricate network of archaeological features which were preserved because they were not affected by ploughing- tracks and field boundaries dating perhaps from the Bronze Age, Iron Age, Roman period and Middle Ages as well as a Bronze Age burial mound called Jugs Grave. They were beautifully revealed by Bradford on Avon Museum’s LiDAR survey. The wood is all private land, but can be seen from a public footpath that crosses part of it, between the Conkwell to Warleigh lane and Farleigh Wick. Do not pick any wild flowers. 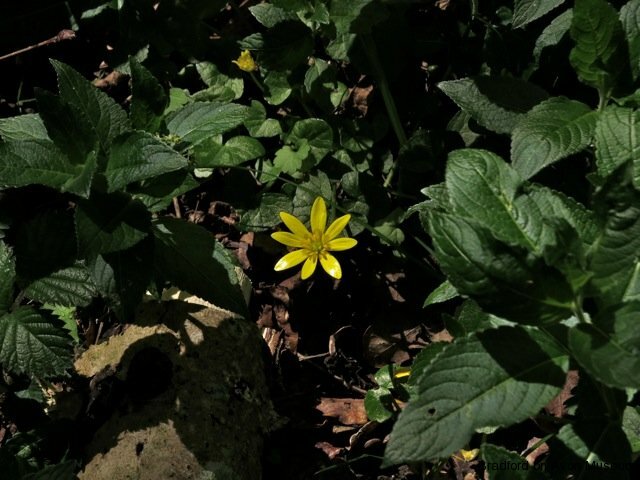 Most of the flowers of the wood bloom early in the spring, to take advantage of the short period before the canopy of trees above them come into leaf and cast too much shade. 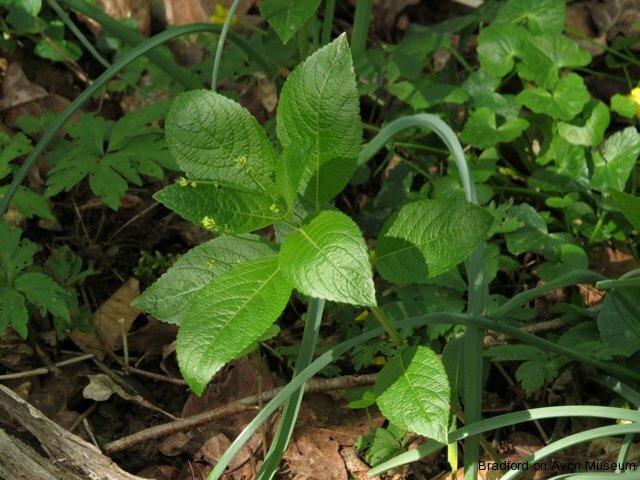 The dominant plant of the ground cover in much of the wood is dog’s mercury, Mercurialis perennis . It is a member of the Euphorbia family and has insignificant green flowers. It spreads by underground rhizomes as well as by seed. 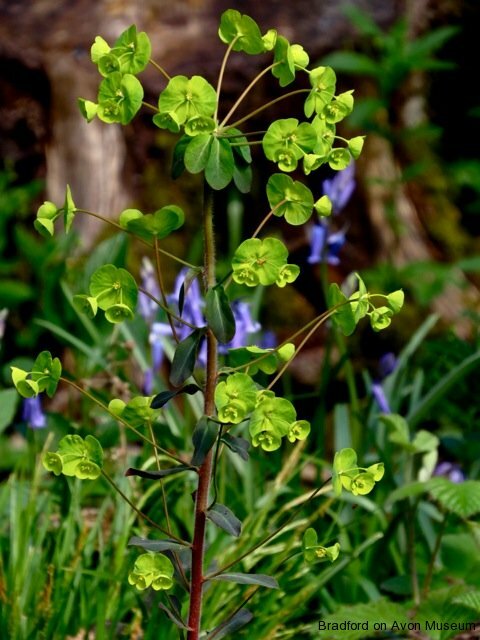 Another member of the same family is the wood spurge, Euphorbia amygdaloides, which has purplish leaves and acid-yellow-green bracts around its tiny true flowers. 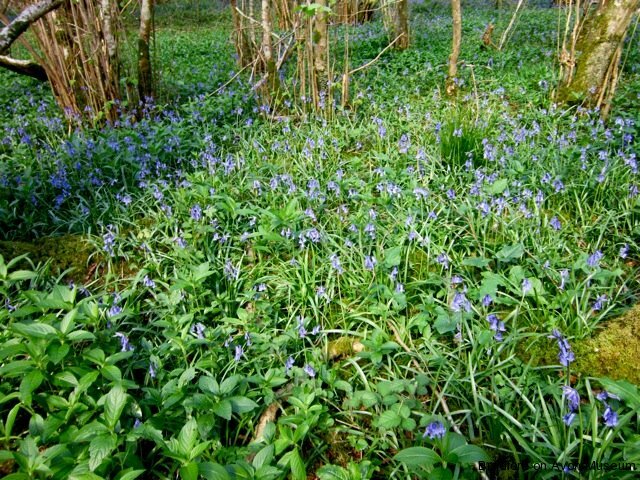 April sees the spectacular flowering of bluebells, Hyacinthoides non-scripta, which cover large areas in places. 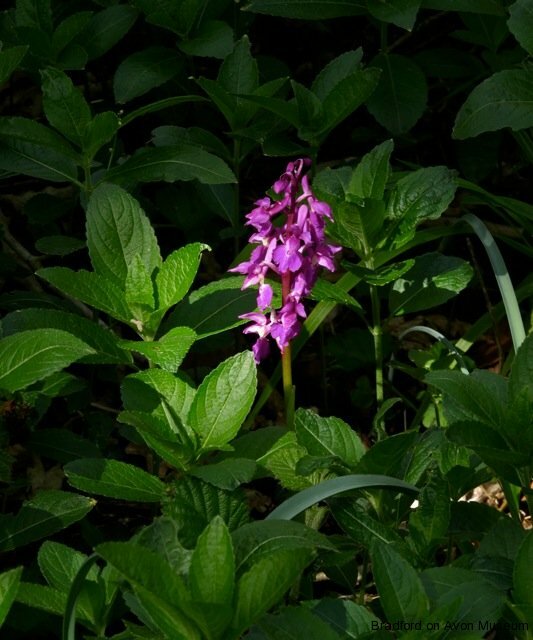 A flower that often can be seen when the bluebells are out is the early purple orchid, Orchis mascula, seen here amongst dog’s mercury leaves. 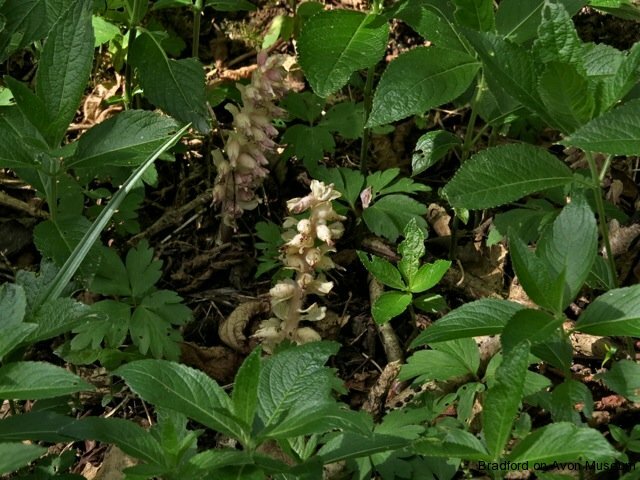 An oddity is the almost colourless flower known as toothwort Lathraea clandestina, It is a plant that has no green chlorophyll or leaves to take energy from the sun, taking all its sustenance from the roots of its host plant, hazel. 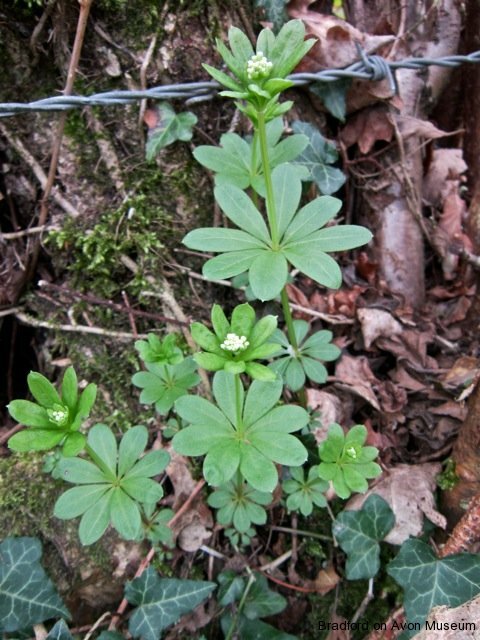 Woodruff, Galium odoratum, related to bedstraws and cleavers, forms carpets of upright short stems with whorled leaves and small white flowers. 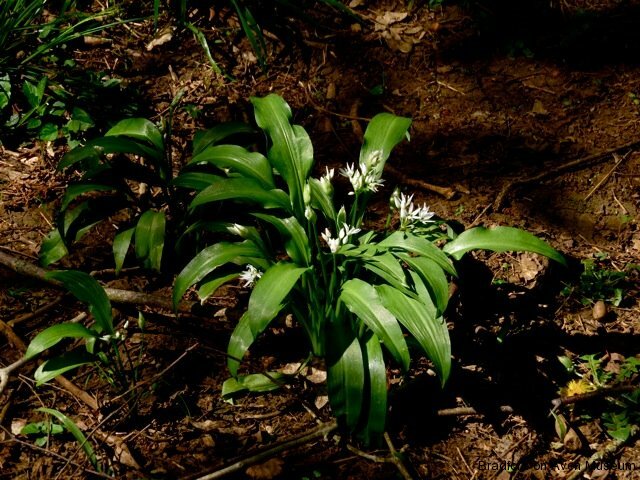 Ransoms, often called wild garlic, Allium ursinum, is common in the Bradford Hundred area, but not a dominant plant in Inwood. The glossy golden flowers of lesser celandine, Ranunculus ficaria, are common in a number of environments, especially hedgerows. 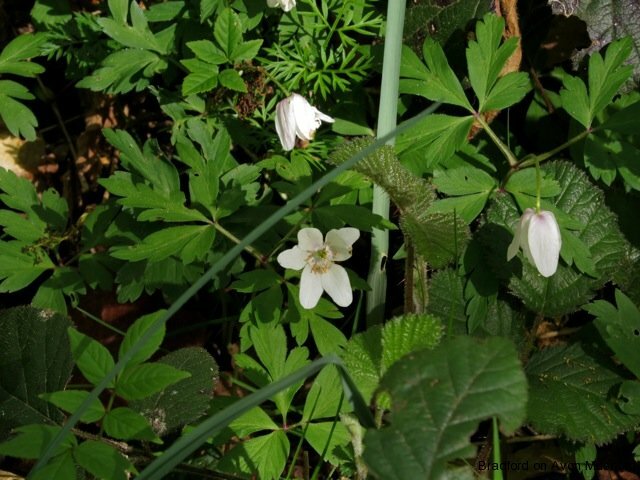 Another common and typical flower of woodlands is the wood anemone, Anemone nemorosa. 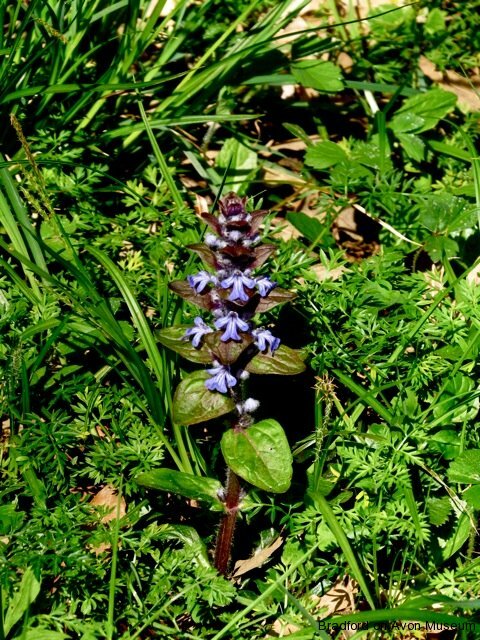 The spikes of the bugle, Ajuga reptans, are found on the edge of clearings where there is more light.